I treated myself to some shopping for Valentine's Day. 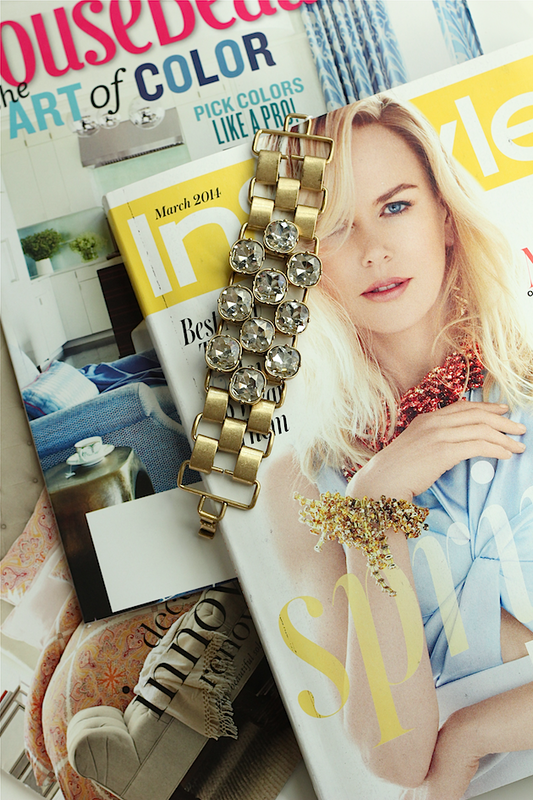 That crystal link bracelet is a favorite and proof that my taste is always evolving. My bracelets are usually really simple, but this one grabbed my attention. After a great workout on Sunday, I also treated myself to a marathon magazine reading session in bed with the Olympics on in the background and tea on the side... I'd give anything to have that time back. But on with the week! I hope you have a good one! Beautiful images. 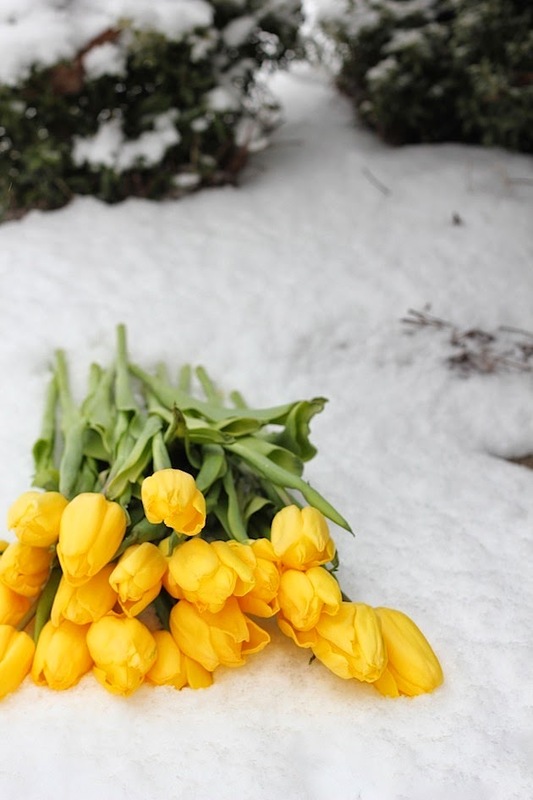 I never tire of pictures of fresh flowers of any kind, but adore tulips. Love the bracelet. I LOVE tulips! I haven't always, but nowadays I just think they are so pretty. Beautiful shots, girl! Tulips are my favorite! I always grab a few bunches when I'm at Trader Joes! 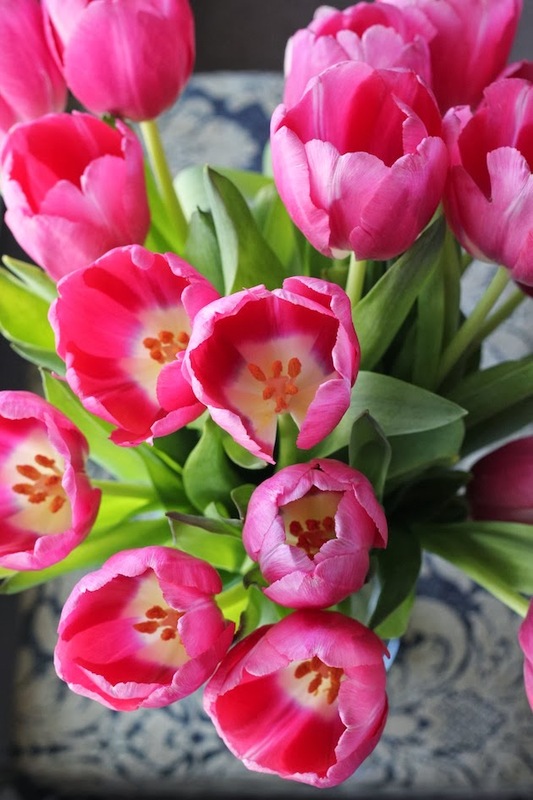 The tulips are REFRESHING and just the right pop of color needed to start a Monday off right! Thanks for the post! Don't apologize at all!! I love that first photo..gorgeous. They are all gorgeous..but that first one is my favorite! Your dad is too sweet. What a great guy! I am addicted to taking pictures of Ranunculas (flowers) they are so pretty. Love the yellow!